When looking for general contractors, look no further than Thomas Quality Construction. Not only can we provide top quality new construction we also do renovation work. Our goal is to give our clients honest and upfront schedules with regard to timing and cost. With our expertise in new construction, we know the importance of meeting deadlines. Using our experience in renovations, our focus is to make every construction dollar count. We evaluate each renovation project for our clients during the design process in order to ensure all potential issues are addressed prior to the start of construction. We pride ourselves on not being like some other contractors who give low pricing upfront but steadily increase costs throughout the project with change orders. Our reputation at Thomas Quality construction is everything and we won’t sacrifice it to make a few extra dollars. Even if you’re relatively handy, certain installations, home remodeling and home repair projects require skills that you simply may not have. Why risk injury or property damage when you can get Thomas Quality Construction to provide affordable assistance with your next home remodeling or construction project? When working with general contractor Thomas Quality Construction, you’ll get the benefit of reasonable rates, prompt and reliable service and the highest quality workmanship. 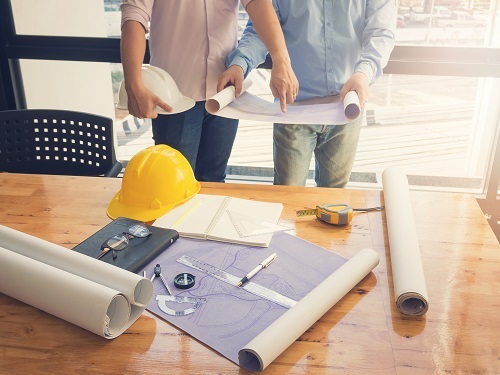 Our project specialists provide cost estimates, prepare estimated timelines and ensure that you are informed of the project progress every step of the way. We work hard to eliminate the lack of communication with every project. A Kentucky based general contracting company, Thomas Quality Construction is proud of our experience in residential and commercial additions, remodeling projects and renovations. We complete our projects on time and we provide excellent service to our customers, each and every project. Thomas Quality Construction has years of experience in the construction industry as a licensed general contractor. We offer a variety of home and building contracting services that will meet the most challenging needs. Thomas Quality Construction offers a wide range of essential residential and commercial contracting services. Whether you’re looking for a fresh start with new home construction, in the process of planning a home addition for a growing family or maybe just in the market for a complete renovation “make over” at your business, Thomas Quality Construction can do the job and on time. One call to Thomas Quality Construction can save you time, aggravation and money. Our commitment is to the project and to our customers, from start to finish, providing the highest quality of service. We will do everything we can to meet each of our customer’s expectations. Thomas Quality Construction understands that serving our customers effectively requires a thorough knowledge of residential construction materials and practices and particularly how to use them to meet our customers’ needs, delivering the best value and durability. Staying current on trends and innovations is a pursuit that we take seriously. Over the years, Thomas Quality Construction has handled a vast assortment of building projects. We understand the level of quality that is expected from our customers and we adhere to strict standards to avoid delays, loss of value and inconvenience. As your general contractor, our services at Thomas Quality Construction take your project from concept to completion with astonishing results. Thomas Quality Construction provides the best value for your dollar and we assure completion on time and within budget.